Thank you for choosing Northfield Public Schools! Several forms are required for new student enrollment. If you have a kindergarten student to enroll or are new to the district, please read the information outlined in the New Student Process below. Other enrollment-related forms, such as intradistrict transfer, homeschool and open enrollment/nonresident agreement are also located below. Questions? Please contact the district office at 507.645.3445. If you have an elementary student and are unsure which school attendance area you live in, the city boundary map or rural boundary map will assist you in determining which school attendance area you live in. The Minnesota Department of Education (MDE) generates and publishes maps that show school district boundaries; Click here to visit the state’s page. You may also contact the district office at 507.645.3445 or email Chris Neset for assistance. Benjamin Bus provides transportation for the district and bus company staff can also answer boundary questions. State law requires all students to complete Early Childhood Screening before they enter kindergarten. To schedule an appointment for a free screening, visit the Early Childhood Programs page. Parents may also be interested in an optional school readiness program, called Bridges to Kindergarten, that assists children in making a smooth transition to kindergarten. After enrolling, parents of middle school (grades 6-8) and high school (grades 9-12) students transferring to Northfield Public Schools from another school district should contact the Northfield Middle School Counseling Office (507.663.0664) or the Northfield High School Counseling Office (507.663.0636) to make an appointment with a school counselor who will assist you in registering your student for classes. Free or reduced price meals are available for students whose family qualifies. The appropriate form must be completed each school year and submitted to Child Nutrition Services for approval. Minnesota Health Care Programs also have free and low-cost health insurance for families who qualify; check out MNsure. Northfield Public Schools utilizes a one-hour late start each Wednesday for all schools throughout the school year. This is part of an effort to facilitate Professional Learning Communities (PLCs) for staff. On Wednesdays, parents or daycare providers who normally drop off students at the beginning of the school day will be able to drop off students one hour later. Students who ride the bus will arrive shortly before school is open on Wednesdays. Parents or daycare providers who must drop off students at the regular time may register for KidVentures’ one-hour PLC programming. State law requires that students in all grades must have documentation for required vaccines. Students entering kindergarten and 7th grade will need to update their immunizations and will be excluded from school if not in compliance. 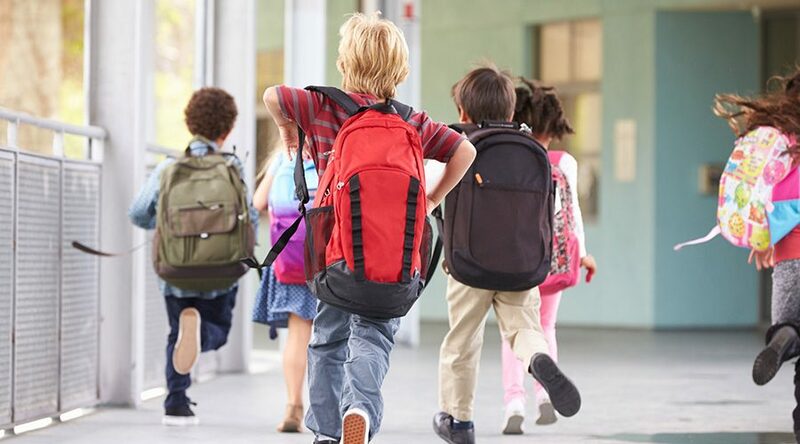 Children enrolled or enrolling in child care or early childhood programs (that meet at least once a week for at least six weeks during the year) must also provide proof of immunizations or have a legal exemption. Medical and conscientious exemptions are allowed under the law. The student and early childhood immunization forms are located in the Required Forms section above. Record your child’s immunizations or exemptions on this form. For more information, contact Health Services staff. If you want to transfer to a district elementary school outside of your attendance area; if you would like to begin or continue to homeschool your student; or if you would like your student to attend or continue attending a school in a district in which you do not live, you may need to use a form in one of the panels below. Homeschool Full Report – This form is to be printed, filled out and mailed, or submitted electronically, to Chris Neset, Student Information System Specialist, by October 1 of each year or within 15 days of withdrawing a child from public school to homeschool. For additional help click on Contact List for 2018-19. Letter of Intent to Continue Homeschooling – This form is to be printed, filled out and mailed, or submitted electronically, to Chris Neset, Student Information System Specialist, by October 1 of each year after the instructor has provided the district with a Full Report. Request Funds – The nonpublic student aid form must also submitted if requesting funds. Visit the state’s website for more homeschool information. Visit Northfield Public School’s website for Policy 611 and Procedures regarding homeschooling. Beginning with the 2018-19 school year, Northfield Public Schools will no longer approve nonresident agreements after February 28 of each year. The lone exception is for a student already enrolled in the district who needs a nonresident agreement to complete the school year because their family has moved outside of district boundaries. If you have just moved into the Northfield school district but would prefer your child to continue to attend the school in your old school district, or if you do not live in the Northfield school district and would like your child to attend the Northfield school district, you will need to complete a Nonresident Agreement Form and an Open Enrollment Form. Minnesota’s Open Enrollment Program allows families to apply to send their student to any public school district in Minnesota. For those families who decide after January 15 to enroll their student in another school district, a Nonresident Agreement form needs to be completed. The Nonresident Agreement needs to be approved first by the district in which you live and then by the district in which you would like your child to attend. This agreement is valid only for the current school year. If you have further questions, please email Chris Neset or call 507.645.3445. Here are other areas of the website you might be interested in viewing.